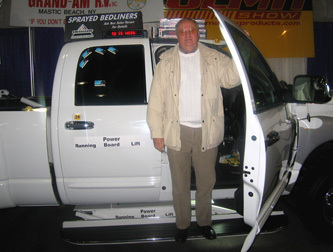 patented powered running board assistive lifts were developed to assist individuals who can at least stand to enter a vehicle such as pickups, SUV's, and vans. While other running boards are narrow and flimsy resulting in falls, Startracks Running Boards are fabricated from aluminum and stainless steel, which can be custom fabricated for any vehicle. Also, we offer a 8 inch wide and the original 10 inch wide board. Designed and built exclusively in the USA, these running board are powered by a 12-volt motor hydraulic actuator system which attaches to the vehicles frame.  The operating function is controlled by a wireless remote. The lift is designed to allow the user to move the lift in an "up and down" motion at any position by triggering the remote. The running board lift can be installed on either side or both sides to suit the needs of the customer. 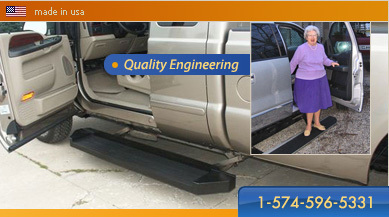 Fabrication includes non-slip treads to prevent slipping while entering and exiting the truck. These non-slip treads are especially useful in snowy winter. The Running Board Lift assembly includes a support structure configured for mounting to the vehicle, a slide assembly slidably supported by the support structure for movement in a longitudinal direction of the lift assembly, arm assemblies pivotably supported by the support structure, and a device for moving the slide assembly relative to the support structure. The slide assembly includes followers that cam with camming members of each arm assembly. Each arm assembly further includes a shaft for supporting the running board. Each shaft is located on its arm assembly so as to move downward and upward when the arm assemblies are pivoted relative to the support structure as a result of the followers of the slide assembly camming against the camming members of the arm assemblies. Running Board Lift Assembly Patent US 20060175791 A1. Click images to see enlarged photos. More photos and videos HERE.